Stars with braces - they’re just like us! Most Hollywood stars rock a million dollar smile to be envious of. But the truth is, many of them didn’t start that way. In fact, a few had to go through braces treatment, just like you! Here are just a few. Watson said she went through a rather awkward stage that included “terrible skin,” fluctuating weight, and braces. Look where she is now! Surprisingly enough, one of the world’s most famous smiles needed some orthodontic help at one point. He wore “invisible” braces that had ceramic brackets for a few months just after his 40th birthday. Barely anyone knew! Like Watson, Fanning went through some troublesome teeth years as a teenager. Braces and dental work gave her that stunning smile we see now. She even proudly sported her headgear during an appearance on The Tonight Show. Who would have thought that the 2013 Most Beautiful Woman named by People Magazine wore braces in high school! For all you One Direction fans, Horan wore braces for several months. He got them removed in April 2013. In 1999, the No Doubt singer started wearing metal in her mouth but claimed it was just a style choice. She had always wanted them as a child, but, she admitted, "I could afford them at that point, and that's when I went and got them." This Academy Award winning actress who got her braces at the age of 61! "You just sort of let your teeth go for a while. But it's time to have something done,” she said. Ryan Seacrest, Prince Harry, Miley Cyrus, Katy Perry, Justin Bieber, and Drew Barrymore also belonged to the metal mouth club at one time or another. But the truth is that in the end, whether your braces are metal or invisible, whether you’re young or old, and whether you wear them in the classroom or on the red carpet, it all comes down to how you work it! Schedule your appointment with us today to get the rock star smile you’ve always dreamed of. We want you to love your braces. But we understand why you might prefer the less visible version over the metal wires and brackets. 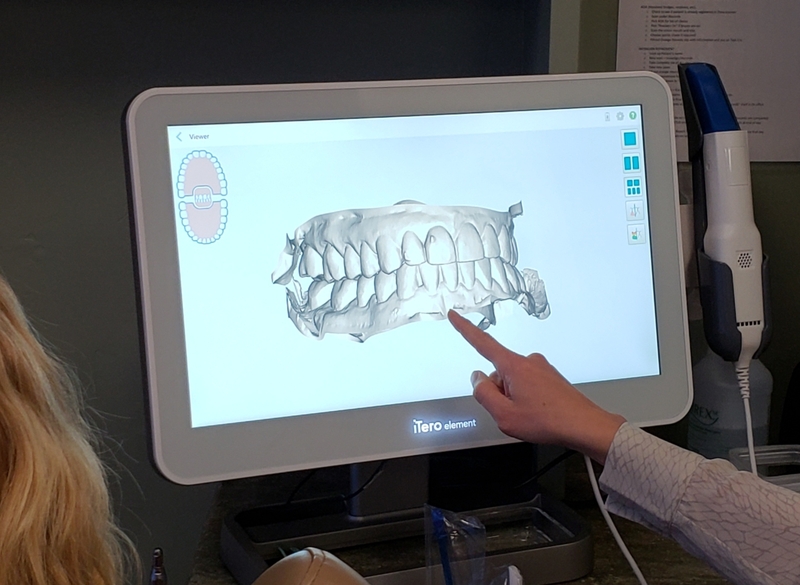 Some of our patients are past their teenage years and want an orthodontic solution that still conveys a professional image. That’s why we are certified to treat with Invisalign. It’s the "invisible" kind of braces that people can barely see, that still effectively straighten your teeth! 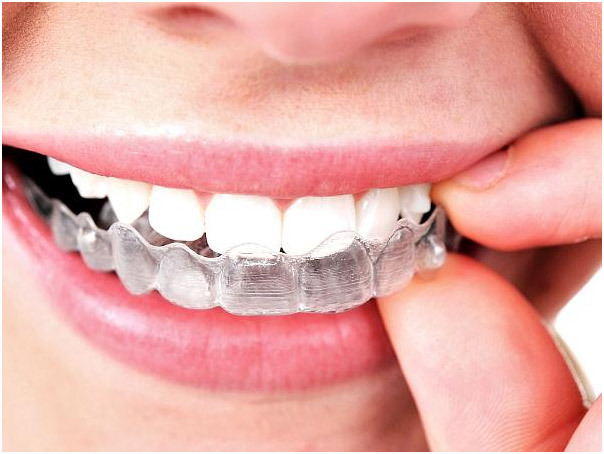 Invisalign uses a series of invisible, comfortable, removable aligners that no one can tell you are wearing. It’s made with 3D computer imaging technology that is proven effective. You wear a set of aligners for about two weeks, removing them only to eat, drink, and floss. 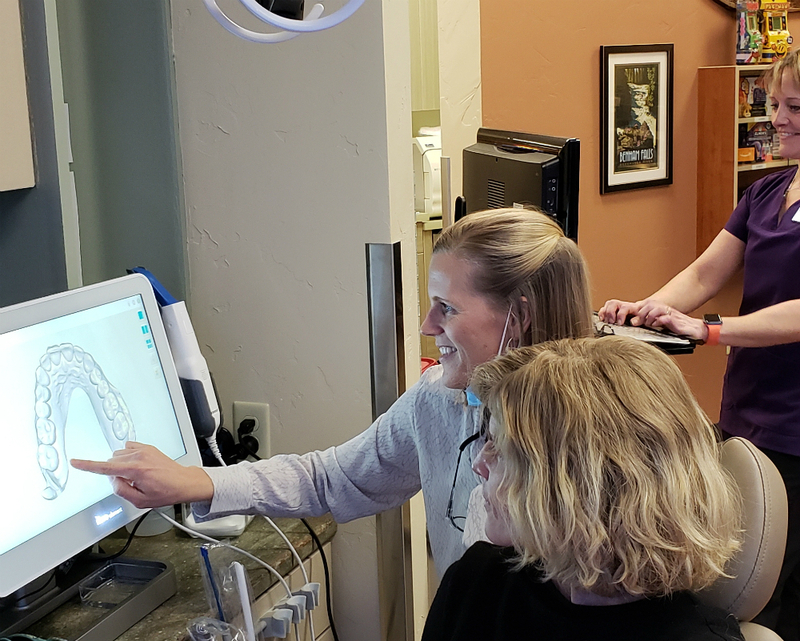 As you replace each aligner with the next in the series, your teeth will move little by little until they have reached the final position your doctor has prescribed. You’ll visit Dr. Struble about once every six weeks to make sure the transition is going smoothly. Treatments typically last around nine to 15 months, and the number of aligners worn during treatment can range from 18 to 30, depending on your specific case. Take a look at our website to learn more about Invisalign! The aligners are removable which allows you to eat and drink whatever you want during treatment, so you don’t have to throw away the popcorn and Starbursts. Care, brushing, and flossing are also a lot easier to navigate. No metal and wires also means you spend less time in the doctor’s office getting adjustments. Invisalign also allows you to view your own virtual treatment plan when you start so you can view your progress as you complete treatment. Sound too good to be true? Here are a few things to consider. Depending on your insurance plan, Invisalign can be expensive, so you’ll need to decide if the benefits outweigh the costs or not. And although the aligners are removable, you’ll still need to ensure you’re wearing them for as close to 24 hours in the day as possible, or else your treatment may not be as effective. The aligners can be painful the first couple of days like metal braces, but they avoid the mouth abrasions caused by traditional appliances. Schedule a free consultation with no strings attached to see if Invisalign is right for you! We know that whichever treatment you choose, we’ll have you loving your new beautiful straight smile in no time.